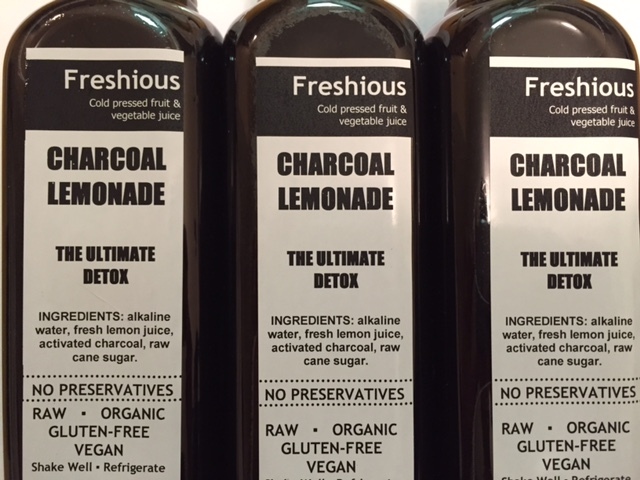 What’s the best detox or cleanse? Diets fail. Not just often, but almost always—90% of the time. If diets worked we wouldn’t have a worldwide obesity problem. And obesity is a problem that needs to be solved. The prevalence of obesity has doubled since 1980. As a public health issue, there are few determinants of illness that are more destructive, as obesity contributes to the growing rates of diabetes, heart disease, and even cancer. There’s no “one true cause” of all illness, but obesity comes pretty close. When people ask me for the single most important thing they can do for their health, my advice (after quitting smoking) is to (1) ensure you keep your weight under control and (2) exercise in any way possible. Despite its tremendous impact on health, I’ve only blogged about obesity in an indirect way—by pointing out what doesn’t work. Dr. Oz is my perpetual source of bad health information with his regular promotion of bogus “weight loss” supplements like the green coffee bean “miracle”. 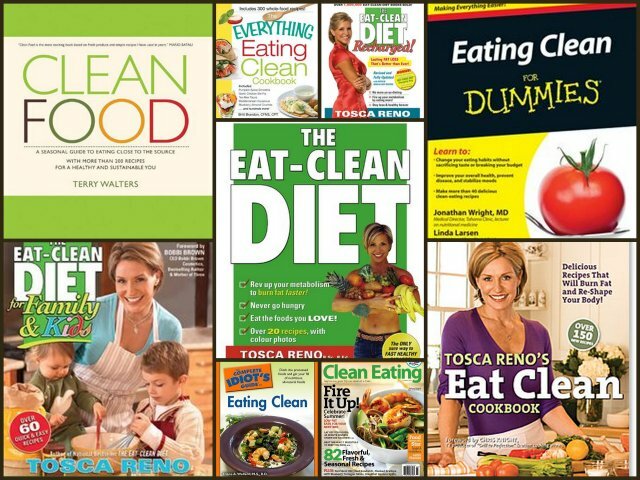 I’ve also criticized eating programs like the fads of “Eating Clean”, gluten “intolerance”, or harmful diet delusions like “detox”. It’s the typical skeptical science blogger approach—spot pseudoscience, debunk it, and hope you did something good. But none of my posts have focused on what one should do—just what you shouldn’t. Over at Science-Based Medicine (where I also blog) Dr. Mark Crislip recently commented that what science-based medicine advocates support manifests in what we oppose. He’s right, because that’s the easy approach. Using the principles of science-based medicine, there’s an awful lot to oppose in the current writing and popular opinion on how to treat obesity. And my professional advice in the role of a pharmacist has been limited to steering people away from supplements, and then giving some basic advice about dietary planning. Anecdotes and platitudes. I admit that I’ve told patients to “eat less and exercise more”. I haven’t seen pharmacists do much more, though I like to think that pharmacists can and should be playing a much larger part in obesity management and treatment. Like many of you I’m interested in the science of good nutrition. In general, I’ve come to be pretty skeptical of the nutritional literature, as so many studies seem to follow the same trajectory that we see with drug studies: Trivial changes in non-relevant outcomes, a failure to consider the results in the context of the accumulated scientific evidence and often, significant conflicts of interest. What’s worse, you can’t blind a dietary evaluation. So we’re left to dig through observational studies and try to sort out correlation from causation. It’s little wonder that so many consumers are confused about the basics of healthy eating. It isn’t helped with the plethora of gurus offering their own solution. Many believe that vitamins supplements are both beneficial and routinely necessary (they are not) and that the latest “superfood” is all that’s standing between themselves and immortality. But nutritional science is important, and I’m always pleased when patients initiate discussions about weight loss, or just improving their dietary habits. After all, obesity is a significant risk factor for an array of chronic illnesses. Improving our dietary patterns should pay off with improved health.. A regular challenge I face is that my patient that has already decided to use a highly restrictive weight loss plan in order to achieve a specific weight loss goal. I always caution them to take a long-term view. Weight loss is easy. Maintaining that loss is the challenge. Most “diets” fail. So I’m critical of useless interventions (like food intolerance blood tests) or faddy diets (like going gluten-free) with the hope of easy weight loss. At its core, weight loss and weight maintenance comes down to caloric balance. Permanent weight loss requires permanent dietary changes. And how we spend our “calories” matters. 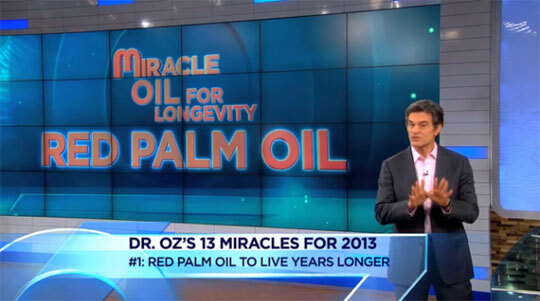 Dr. Oz says Red Palm Oil is a miracle oil for longevity. The science says otherwise. 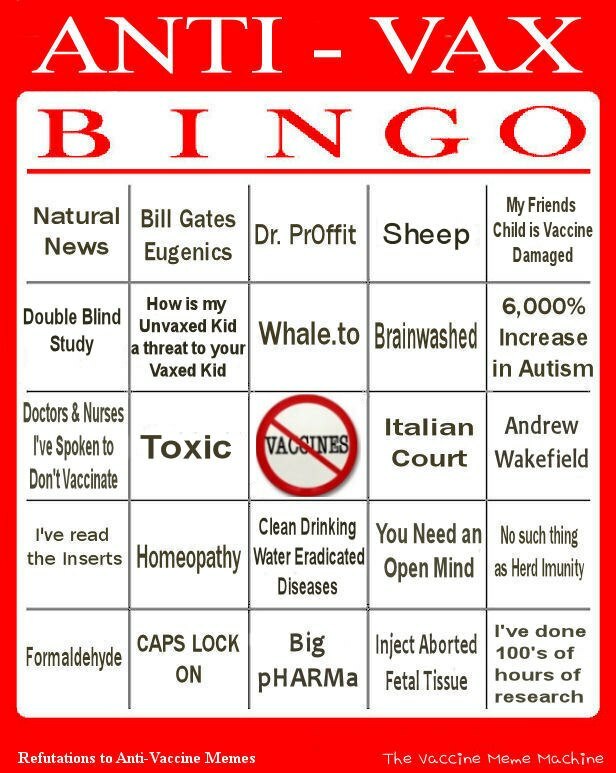 If there is an antithesis to the principles of science-based medicine, it’s probably the Dr. Oz show. In this daytime television parallel universe, anecdotes are evidence. There are no incremental advances in knowledge — only medical miracles. And every episode neatly offers up three or four takeaway health nuggets that, more often than not, seem to leave the audience more ill-informed about health and medicine than they were 30 minutes earlier. After I completed my post on Dr. Oz’s prolonged embrace of the “miracle” that is green coffee bean extract, a number of readers brought me up to speed. Green coffee beans are yesterday’s miracle. The new weight loss miracle for 2013 is red palm oil. This constant drive for miracles must keep the producers in a perpetual panic. They need at least five miracles per week. Having now watched a few episodes, I’m reminded of the classic “That Mitchell and Webb Look” skit where two nutritionists pick a new superfood. It could be just a matter of time until we see white veal profiled as a superfood in a future Dr. Oz episode. If there is a common characteristic of complementary and alternative medicine (CAM) proponents who believe themselves to be scientific (and I include Dr. Oz in this group), it is that they extrapolate from weak clinical evidence to grandiose claims by cherry picking the most supportive strands of evidence to give the impression of being evidence-based. They have the belief, and then they look for the supporting evidence to bolster the claim. In short, to paraphrase a quote attributed to Hahns Kuhn, they use scientific evidence like a drunkard uses a light post: for support, not for illumination. As I noted with green coffee bean extract, Dr. Oz extrapolated from ambiguous, preliminary data to recommendations to consume green coffee bean extract as a weight loss strategy. Frankly, the evidence isn’t there, so I didn’t have high expectations with the latest miracle. All I knew going in about palm oil is that it’s used in most industrial food production and the demand for it is linked to massive destruction of tropical rainforests and the slaughter of orangutans. But who doesn’t want the longevity that Dr. Oz promises? So I sat down and watched another episode.